Antique Robin Starch Framed Advertising Card. 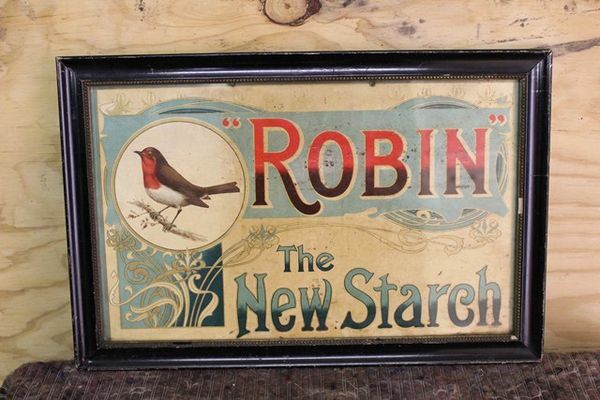 Early Robin Starch Framed Advertising Display Card. 40cm x 27cm.